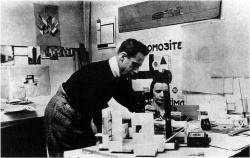 Theo and Nelly van Doesburg in the studio on Rue du Moulin Vert, Paris. 1923. Theo van Doesburg (1883–1931) was a Dutch artist, who practised painting, writing, poetry and architecture. 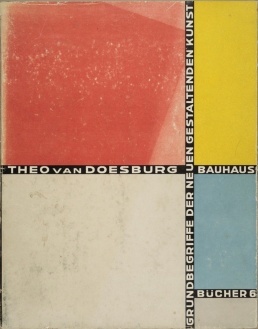 He is best known as the founder and leader of De Stijl. Grundbegriffe der neuen gestaltenden Kunst, 1925, Log, PDF. This page was last modified on 27 November 2017, at 14:46. This page has been accessed 9,529 times.